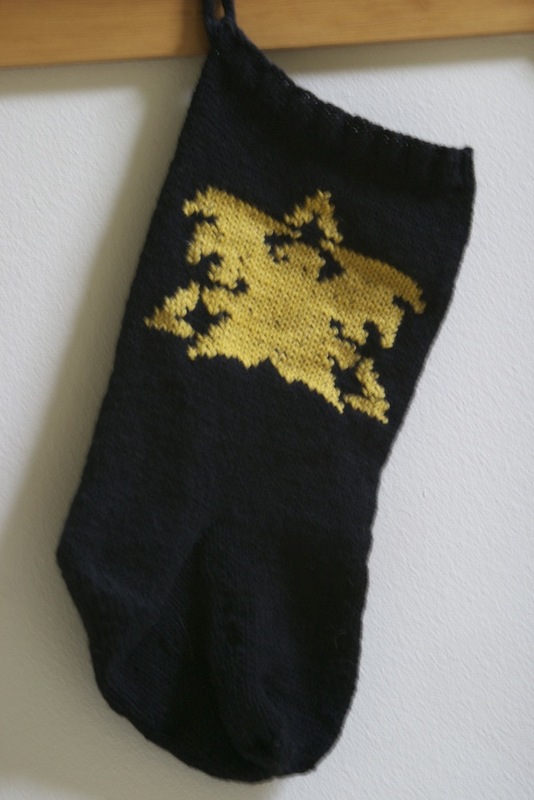 Terran up a Holiday Stocking! Do you know how hard it is to find Creep looking yarn? Or the right combination of magenta and burgundy for a Zerg logo? This is just one of the quandaries a knitter of geekery things finds them contemplating in the yarn aisle. With the danger of crossing some fashionable holiday boundary… I went with a nice solid black Christmas Stocking. 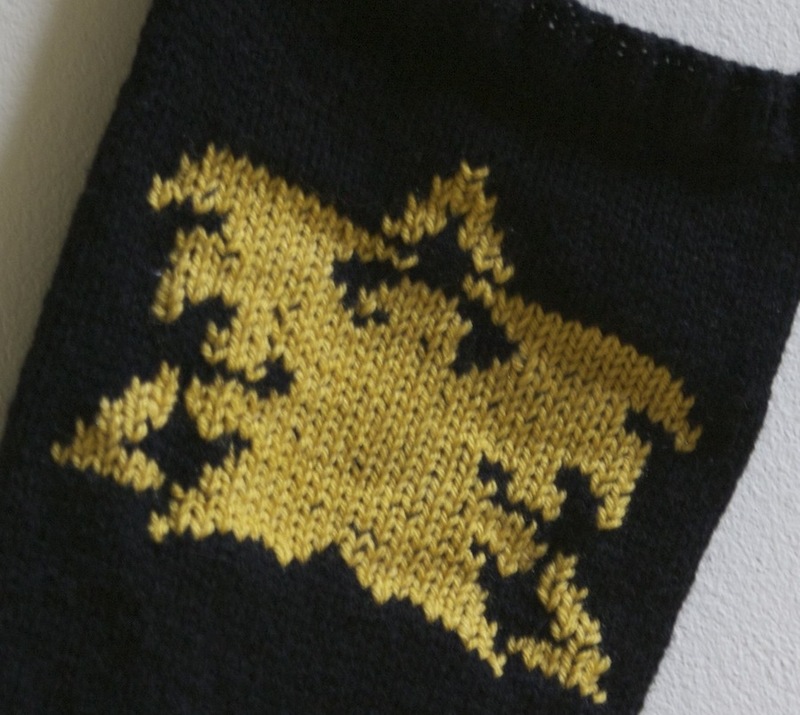 Over knit stitch with a golden Terran logo.